Welded wire horse panels, also known as welded wire corral panels or welded wire horse corral panels, are formed with 16 gauge galvanized steel tubing and 4, 6 gauge steel wire welded together. 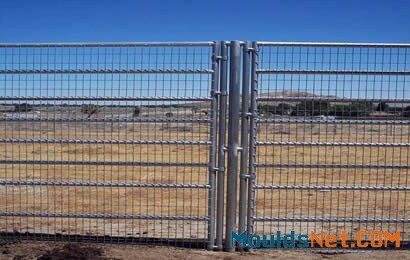 The special-designed horse panels are great for keeping your stallions, foals, mares safe. 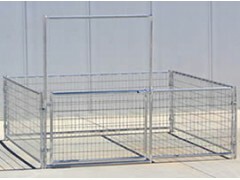 Moreover, welded wire horse panels can keep unwanted animals out, which are ideal for paddocks, arenas, stalls, etc. Sturdy welded construction. 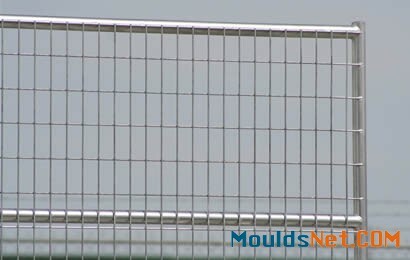 The welded wire mesh is 360 degree welded together and enhances the structure stability. Rust and corrosion resistant. 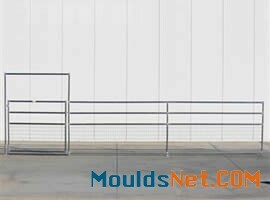 Welded wire horse panels are heavily zinc-coated, which resist rust, corrosion, alkali. Easy to install. 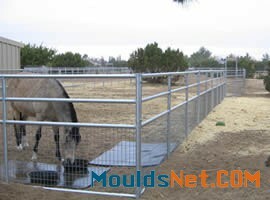 It is rather easy to install welded wire corral panels with tools . Safety guarantee. The 2" × 4" mesh space prevents foals from squeezing their heads and stepping out of the panels. Long service life and economical. 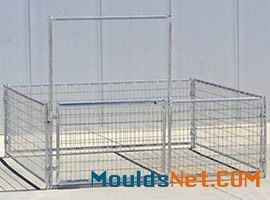 The welded wire corral panels are made from heavy gauge steel so that they last a long life and the price is cost-effective and affordable. Material: steel wire, steel tubing. Wire diameter: 4, 6 gauge wire. Mesh size: 2" × 4" opening. Accessories: lockable sliding latch, welded hinges. Packing: rolled and packed in water-proof plastic bags. 12' × 4' 4 gauge 60 2" × 4"
12' × 5' 75 2" × 4"
16' × 4' 80 2" × 4"
16' × 5' 100 2" × 4"
20' × 4' 100 2" × 4"
20' × 5' 125 2" × 4"
12' × 4' 6 gauge 44 2" × 4"
12' × 5' 55 2" × 4"
16' × 4' 60 2" × 4"
16' × 5' 75 2" × 4"
16' × 6' 88 2" × 4"
20' × 6' 110 2" × 4"
24' × 68" 125 2" × 4"
Great for enclosing horses and other farmland livestock. Ideal for paddocks, stallion pens, temporary stalls. Perfect for containing large and more aggressive animals. Suitable for holding smaller foals, mild-mannered animals.